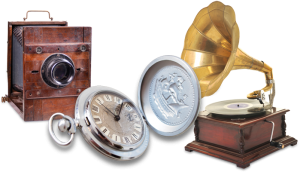 Collecting comic books, toys and sporting cards has become a very big business and there are many industries that have been created just around buying, selling and storing these specific items. Comic books and sports trading cards have always been highly collectible with collections being passed down from generation to generation. Most people will store their childhood comic book collection in their attic or basement. While this is a handy place to put the comic books in a home, it actually isn’t the best place to store them in order to keep them in good condition. Extreme temperatures, especially in a hot and humid attic, can damage the paper of the comic books. The best place to store comic books is in humidity or climate controlled environment. 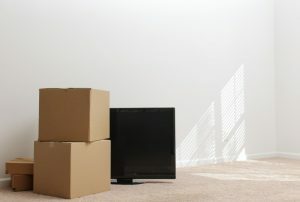 If there is not room at home to properly display or store comic books, then the next best option would be to store the collectibles in a self-storage unit. Climate controlled storage units help protect your comic book collections from extreme temperatures and humidity. Stop N Stor offers a variety of storage unit sizes that are perfect for storing a comic book collection. A 5’x5’ or 10’x10’ storage unit would be an ideal size to store comic book storage boxes. If there is enough space, add shelving to the storage unit to make storing the comic book collection more organized. 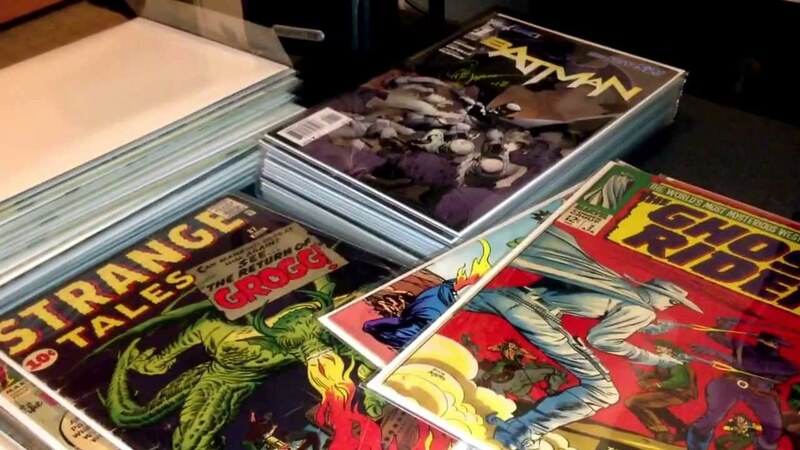 Protecting Comic Books-Place individual comic books in protective polypropylene sheets with acid-free packing boards. The bags protect the comic books from fingerprints, scuffs and moisture. The boards, stored inside the bag, keep the comic book stiff and flat as well as helps to prevent bending and curling of the paper. Change out the boards every 2-5 years in order to keep the board from changing the color of the comic. Mylar Protection Sheets-For more valuable comics, use Mylar comic book protector sheets for storing purposes. Comic Book Storage Boxes-Store comic books in acid free comic book storage boxes. The comic book boxes come in two different sizes: long and short. The short box can hold up to 200 comics. The long box can fit up to 250 comics. Store the comic books standing up in the boxes. 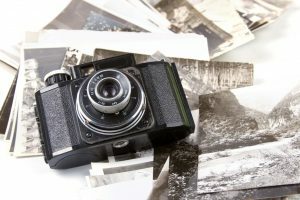 Filing Cabinets-There are other comic book storage ideas such as storing a collection in filing cabinets or specially made cabinets as an alternative to storing in boxes. Binding Comic Books-If you do not plan on selling the comic books in the future, then consider binding volumes of comic books together in a book or placing in a binder. 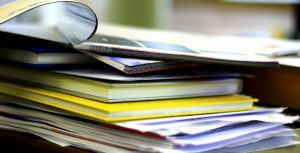 This ultimately reduces the value of the comic book, but binding could make it easier to read, transport and store. Comics Storage Tip-When storing comics, keep them away from direct sunlight as this can fade the colors of the book. Also, avoid storing comic books in wet, hot or drafty areas. 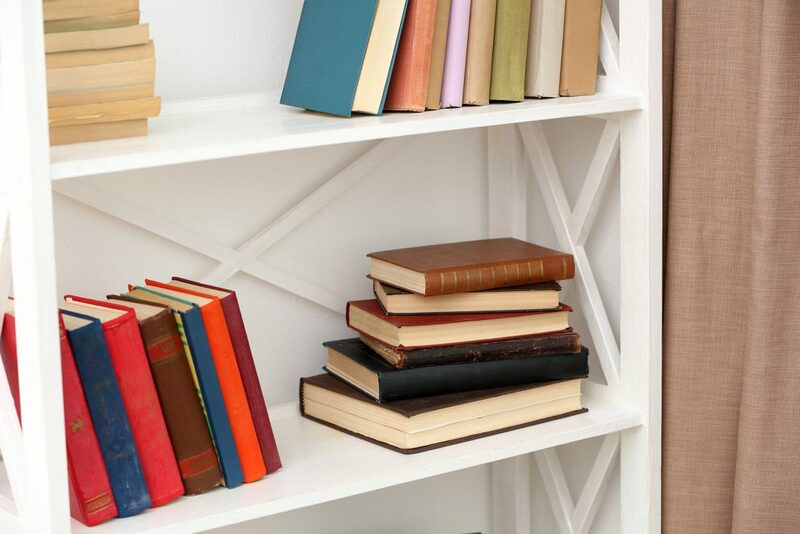 Renting a self storage unit is a great way to store large and small comic book collections. When storing the comic book storage boxes, do not stack the boxes too high and stack all like-sized boxes together. The larger comic book storage boxes can get heavy when they are completely full. Filing cabinets used for storing comic books can easily be moved into a storage unit. The state-of-the-art security at Stop N Stor gives our customers peace of mind their comic book collections are safe and secure while in storage. Savannah’s biggest New Year’s Eve celebration is at Rousakis Plaza on River Street in historic downtown Savannah. Savannah Waterfront Association presents the third annual Up the Cup New Year’s Eve Celebration. The festivities include free entertainment and watching the “non-traditional 6 foot to-go cup” drop at midnight! Afterwards, there is a huge fireworks display over the Savannah River. Savannah’s City Market will be hosting an outdoor street party to ring in the New Year. The entertainment starts at 9pm and lasts until 1am at the Wild Wig Café Stage near Ellis Square. No tickets or reservations are needed. However, if you plan on celebrating at the restaurants in the area, you will need to make reservations. Treat yourself to a New Year’s Celebration at The Westin Savannah Harbor Golf Resort and Spa. There are two events: The Night at Aqua Star Seafood Kitchen, which is family friendly and The Celebration in the Harbor Ballroom. Both events will have live entertainment, party favors, a toast at midnight and more. The Savannah Riverboat Cruises are offering special packages to celebrate the New Year in style. They offer a dinner cruise (perfect for families), party cruise to ring in the New Year or a full-on formal New Year’s Eve gala. Tybee Island rings in 2016 with a spectacular fireworks display set off from Tybee Pier. The display is the largest New Year’s Eve fireworks display in the Southeastern United States. The fireworks can be viewed from the beach or any of the many beachfront restaurants. The next day, take the plunge into the Atlanta Ocean at the 16th Annual Tybee Polar Bear Plunge. All proceeds going to the Tybee Post Theater. As an alternative to the usual New Year’s Eve party, connect with nature at A Wild Night on Ossabaw Island. This overnight event includes camping overnight, a great meal, champagne toast at midnight, walking tour of the north end of the island and discussions around the campfire. No matter how you celebrate New Year’s Eve, it is important to be safe and to have a great time. Stop N Stor wishes everyone a safe and Happy New Year! 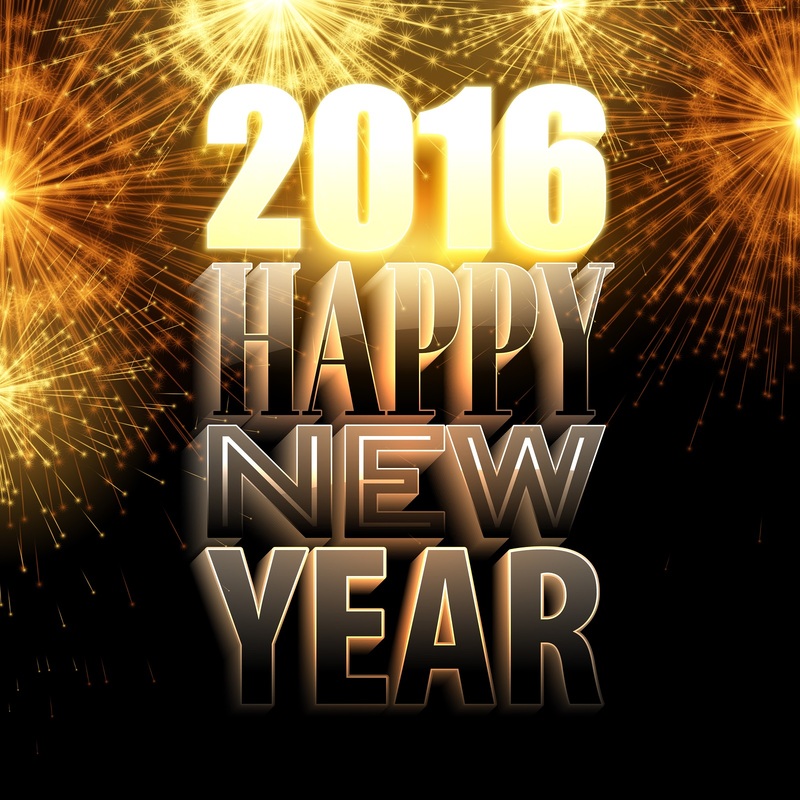 We look forward to being your source for all of your storage needs in Hinesville, Port Wentworth and Savannah in 2016! Savannah at Christmas. Photo courtesy of blog.visitsavannah.com. The end of 2015 is just a few weeks away and there are many holiday attractions and events see and do in the Savannah area! Savannah has a variety of traditional holiday events including annual Christmas light displays, outdoor skating and visits with Santa Claus! Below are just a few of the “not-to-miss” holiday events in the Savannah area this year. 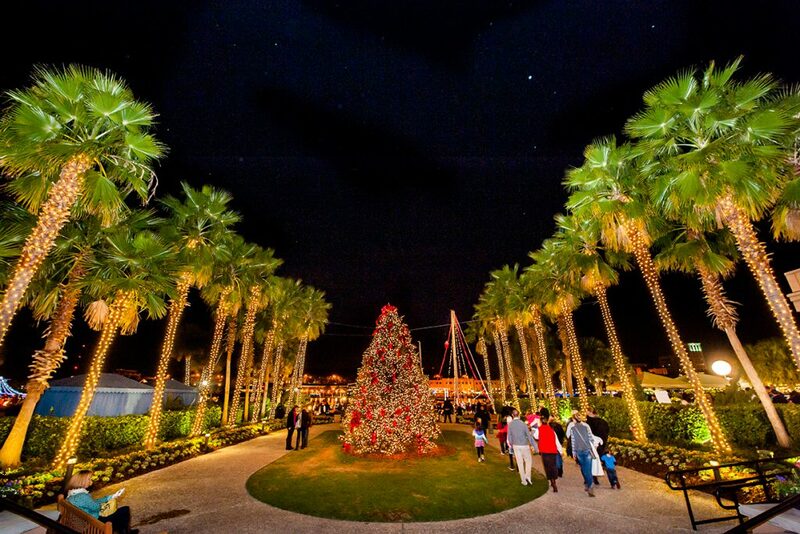 The Westin Savannah Harbor Golf Resort and Spa and the Savannah Harbor Foundation host The Savannah Festival of Lights now to December 24th. There is a gingerbread village and competition, daily performances or events presented by local organizations and visits with Santa Claus at his workshop. This weekend, there will be a special 3D video and light projection performance on the side of the resort building! Friday, Saturday and Sunday will have different holiday themes for the light show. The Coastal Georgia Botanical Gardens will be transformed into December Nights and Holiday Lights nightly through December 24th. Visitors can stroll through the six acres of themed garden areas. This year, there is a model trail display in the conference center. There are also special entertainment on holiday events for the entire family during the weekends. Tybee Island celebrates the holiday season with Tybee for the Holidays with family friendly fun for the entire holiday season. Decorate your bicycles for The Tybee Island Tour de Lights Bike Parade on Saturday, December 19th starting at 5pm. Step back in time at Fort Pulaski to commemorate the Confederate Nog party of 1861 on December 18th and 19th. Visitors can take a candlelight tour of the fort, enjoy music and caroling and re-live the festive atmosphere of the Nog party. The holiday festivities will end with the famous Tybee Island fireworks on New Year’s Eve. The holiday season is a wonderful time to take one of the many trolley tours around the city. One of the best known holiday tours is the Old Town Trolley Tours which offers tours through December 24th. The tours takes visitors through Savannah’s historic squares and districts to see the beautifully decorated homes and gardens. There are stops at the Davenport House and Savannah Festival of Lights. To help to get in the winter and cold-weather mindset, head to the Savannah Civic Center for Skatefest at the Savannah Civic Center starting December 12th through January 2nd. Each skating session lasts 1.5 hours and is a great activity for the entire family! The Savannah Theater presents their annual holiday show, “A Christmas Tradition” now through December 26th. The 2 hour show mixes holiday standards, comedy, Christmas characters, singing, dancing and more. Enjoy all the wonderful holiday traditions that Savannah has to offer during this time of the year. Stop N Stor will be closed Christmas Eve and Christmas Day so our storage professionals can enjoy the holidays with their friends and family. Stop N Stor wishes our customers, family and friends a wonderful holiday season! Savannah has become a culinary destination. The restaurants in the Savannah are being recognized for great seafood, down-home cooking and American cuisine. This week, Savannah celebrates its expanding food culture with The Savannah Food and Wine Festival . The event stars November 9th and runs through November 15th at different venues throughout the city. The festival is presented by the Tourism Leadership Council. To kick off the food festival, take part in the World’s Largest Lowcountry Boil on Saturday, November 7th from 4:30pm to 7pm at Hutchinson Island, Riverfront Esplanade. The Lowcountry Boil, Savannah’s signature dish, contains shrimp, sausage, potatoes, corn onions, garlic and of course, some secret ingredients. There will also be a shrimp eating contest. The Savannah Food and Wine Festival has many signature events that allows festival attendees to enjoy culinary experiences from cooking demonstrations to actual chef meals with culinary and wine experts and local and regional chefs. Different areas and venues in town are sponsoring events such as the River Street Stroll, Secret Savannah Speakeasy, Grand Reserve Wine Tasting, Taste of Savannah and Celebrity Chef Tours just to name a few. Each of these events require special pad admission and tickets and are selling out fast. 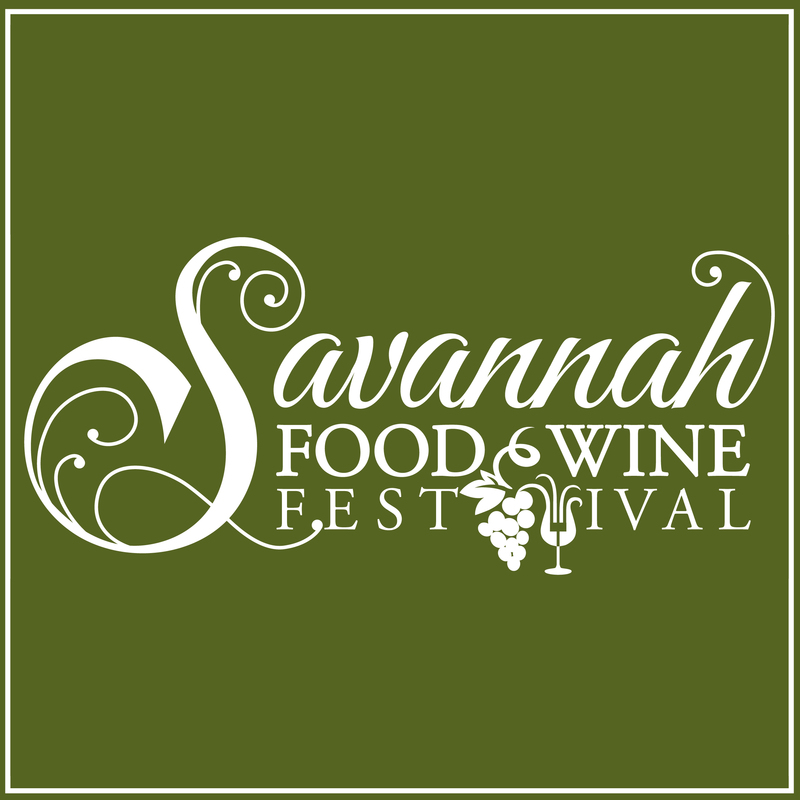 The main event of the Savannah Food and Wine Festival is the Taste of Savannah event on Saturday, November 14th. This year, the Taste of Savannah is being held at the Georgia State Railroad Museum. Tickets for the afternoon event allows you to drink and wine samples. Savannah’s best restaurants will be participating with samples available for purchase. There will also be cooking demonstrations, hands-on learning experiences, an Artisan Market, a celebrity author’s tent, silent auction and much more! The Master Class Series, taking place at the Mansion on Forsyth Park every day during the festival, will feature cooking demonstrations and classes, wine tasting classes and more from local and regional chefs, wine experts and more. The Celebrity Chef Tour, benefiting the James Beard Foundation takes place on November 11th at the Mansion on Forsyth Park. This dinner is a unique experience bringing together chefs and beverage experts from around the world to create a great a six course interactive dining experience. The River Street Stroll takes the food festival along the best meeting place in Savannah: River Street. Special food and drink tasting events will take place on Friday, November 13th. A new event this year is the Secret Savannah Speakeasy at the Georgia State Railroad Museum where attendees can enjoy local food, drink, music and entertainment in a “Roaring 20’s” theme. There are also cooking demonstrations and classes taught by chefs and culinary experts throughout the week. You can buy advance tickets to the Savannah Food and Wine Festival today! Get them before they sell out! Stop N Stor is proud to be a member of the Savannah community and loves to share its culinary delights! Autumn marks the beginning of slightly cooler weather and of pumpkin-flavored everything! When the weather starts to cool and the leaves start to drop off of the trees, it signals that it is time to start thinking about preparing and moving outdoor items such as patio furniture into storage for the winter months. If you prepare outdoor chairs and patio furniture properly, then they can easily be set up and to be used again when the weather warms up again. If you decide to keep the patio furniture outside throughout the winter months, it is important to have it covered with water tight coverings to protect it from the elements. Remove the fabric cushions and place them in a fully sealed outdoor storage container. 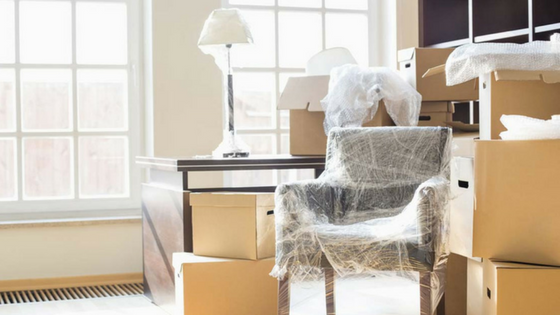 As an alternative, putting your patio furniture into a self storage unit and keeping it out of the elements will help prolong its life. Stop N Stor has a variety of self storage units, climate controlled and non-climate controlled, in sizes ranging from 5×5 to 10×30 for all of your household storage needs. 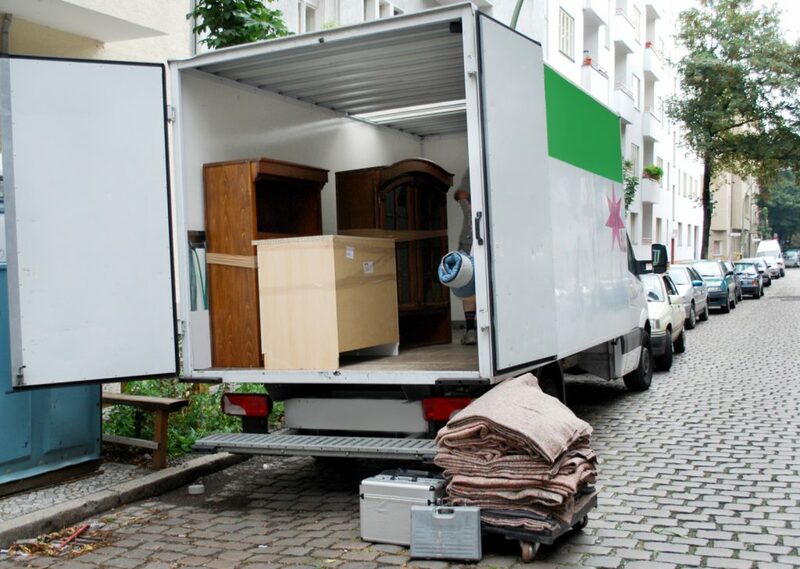 Our storage units are easily accessible allowing for our renters to easily move their outdoor furniture into and out of their storage units. Making sure to properly preparing patio and outdoor furniture is important for continual use. As with any outdoor items, including lawn equipment such as lawn mowers and gardening tools, make sure to read the manufacturer’s instructions before cleaning and storing. 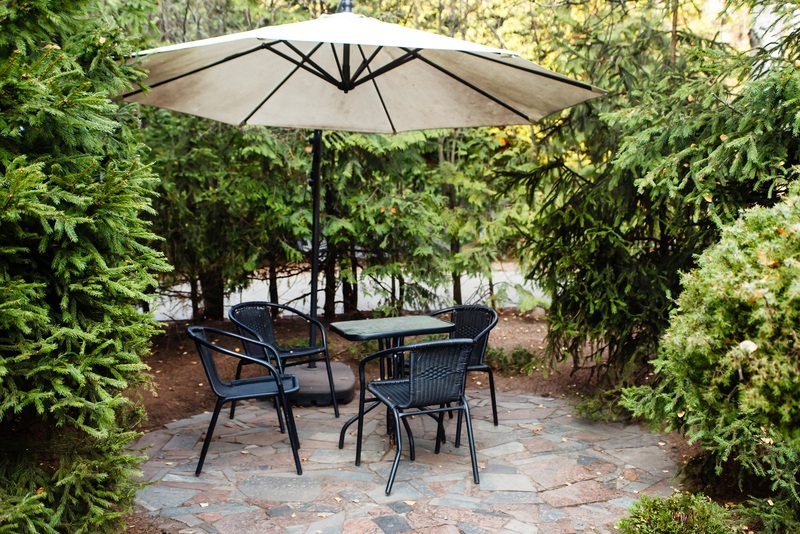 Below, learn easy to follow tips to prep patio items for the winter months. 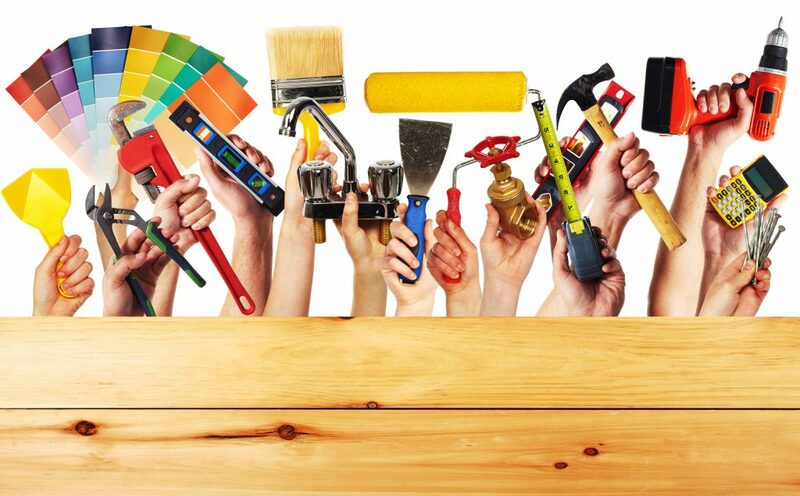 Inspect the chairs, tables, cushions and table umbrella to see if anything is broken or needs to be repaired before going in storage. If the patio furniture appears broken beyond repair, then it is time to dispose of them. Thoroughly clean your patio furniture before placing it in your self storage unit. First, clean off pollen and dirt from the furniture with a dry cloth then, wet clean the furniture based on manufacturer instructions. Clean the fabric or canvas cushions with a solution of Lysol and hot water. The fabric and filings for the furniture cushions should be completely dry before placing in storage. Cushions will survive longer if stored in a dry cool place such as a storage unit. Wash wicker, mesh or plastic furniture and wrought iron chairs with a solution of mild dishwater soap and water. Clean wooden furniture with wood oil soap. Let the furniture dry completely after rinsing off the cleaning solution. Clean patio umbrellas according to manufacturer’s instructions. Canvas should be cleaned first by brushing off dirt and then cleaning the surface with warm water and mild soap. The umbrella should be completely dry before storing. 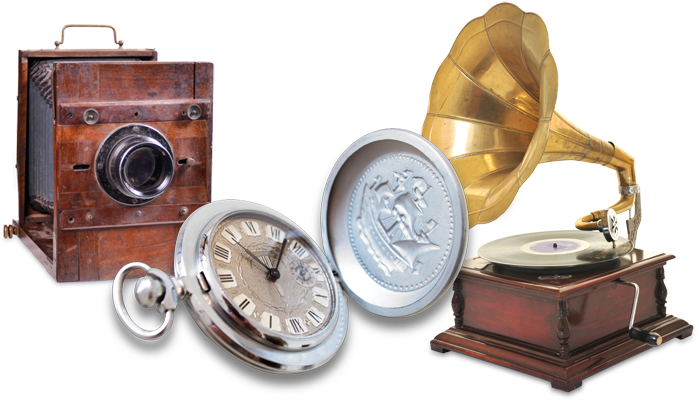 The wooden frame can be cleaned with wood polish or wax. When placing patio furniture in a storage unit, stack patio furniture chairs on top of one another to gain extra storage space. Remove the legs of the patio table to give more space in the storage unit. Keep all screws and nuts together in a plastic bag attached to the table legs.